Tips on loans and finance. There are many different factors that you need to consider before making the decision to apply for a home loan. Each of these things will affect whether or not you should get this type of loan, so you will need to keep them in mind when going through this process. Each year thousands of people submit applications for a home loan, but not all of them are truly prepared. The more prepared and organized you are, the better your chances will be of getting the money you need and paying it back by the due date. You have probably seen a lot of lenders advertising “no credit” or “bad credit” loans, but you will need to remember that your score does matter quite a bit. While you might still be able to get one of these loans with a low credit rating, it’s not recommended. Take a close look at your credit report before submitting a single application for a home loan. If your score is extremely low, you will want to at least think about working on increasing it before applying. When you take the time to improve your credit, you will end up spending a lot less on your loan over the years. 2. What Can You Afford? When you are trying to determine whether or not to take out a home loan, you should know exactly what you can afford. 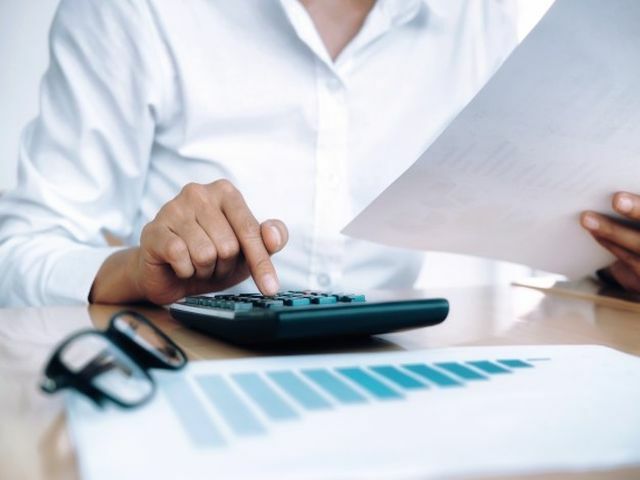 Set aside some time to go through your finances in depth so that you have a clear idea of how much you can realistically spend each month on a mortgage. This will save you quite a bit of time and effort looking around for houses. A lot of people get pre-approved when looking to buy a home, and it basically involves determining how much you can afford to spend. Ask yourself if you are in a stable place with your employment, because otherwise it is not a good idea to take out a home loan. If you think there is even the slightest chance that you could become unemployed anytime soon, you don’t want to take on the burden of a mortgage. You also need to consider how much money you are currently making and whether or not you expect to get a raise anytime soon. The lender you apply with for a home loan will take a close look at your employment history and income, so keep that in mind. Take some time to look at your lender options so that you don’t put yourself in a bad situation with your loan later on. This is something that a lot of people brush past very quickly, and they almost always end up regretting it eventually. When you take enough time to find a trustworthy lender who is flexible, you’ll get a good deal on the loan you require to buy a house. The last thing you should do when applying for a home loan is opening up new lines of credit. This could make the lender very nervous and hesitant about approving your application, so you should refrain from doing so until everything is finalized. You will also need to take a look at any outstanding debts you owe before going forward. It is never a good idea to get a mortgage if you owe a lot of money to creditors. The chances of getting your home loan application approved when you have current debt are fairly slim. You should also stay away from making any major purchases when getting a home loan. This includes major appliances like refrigerators and washers/dryers as well as vehicles. Putting these kinds of things on your credit card will only signal negative things to the lender, and therefore decrease your chances of getting approved for a loan. 7. Do You Have the Money for a Deposit? If you aren’t able to put down a decent-sized deposit for a new home, you probably should avoid getting one of these loans for the time being. It is important to save up your money so that you will be able to put down at least 20%. This will ensure that you don’t pay an absurdly high interest rate, which can make it difficult to keep up with your monthly payments. One of the biggest mistakes that people make when getting this type of loan is to submit a low down payment or nothing at all. You can probably find a lender who will except zero down payment, but it’s definitely not an option that you should entertain. Take a look at the kinds of terms that you can get for a home loan before making the decision to sign the contract and finalize everything. A lot of people quickly skim through the contract they are given because they assume it is all very straightforward, but you could miss something very important. Those who take the time to do this will significantly decrease the chances of being taken advantage of in some way. If you find any items in the contract that you are confused about or find untenable, you should speak with the lender about them before you sign the document. When you are talking with lenders, don’t be afraid to walk away and look elsewhere for the loan you need. You shouldn’t feel pressured to accept any offer from a lender, but rather look at multiple options until you find the best one overall. Those who make this kind of big decision because they feel pressured will always regret it afterwards. You should take getting a home loan seriously, because it is probably the largest amount that you will ever borrow. The more cautious you are, the better things will turn out for you in the long term.